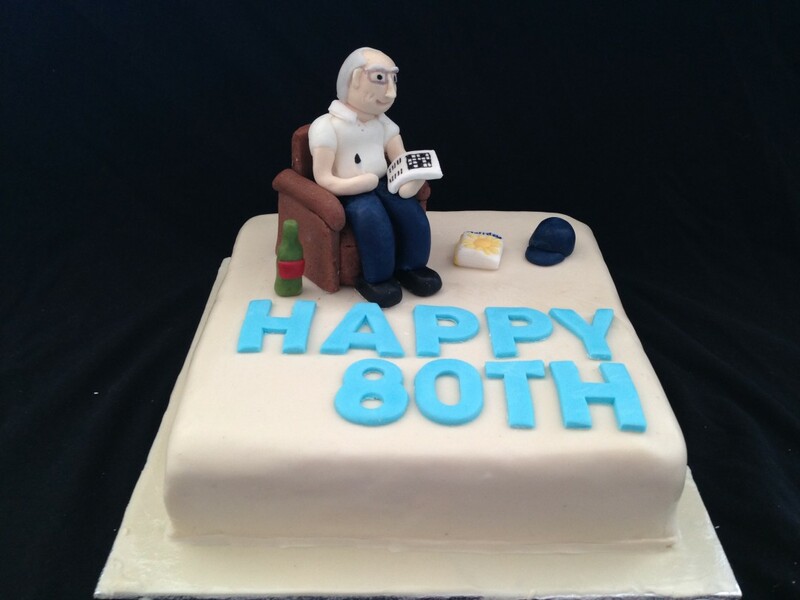 A special & very personal cake to celebrate 80 years! Featuring the birthday boy sitting in his armchair doing a crossword in the newspaper. Also has a bottle of red wine, a navy baseball cap and a holiday brochure surrounding him with the birthday message.